All of us use Torrent to download the files from the internet. Torrent is the best way to download any files. Now these days everyone has a Smartphone and we all know that how important is the smart phone and how important is it. At this time Android is the most popular OS in the market. So it is really essential to know in and out of your Android devices. Today I will be giving you a mobile trick on “how to download a torrent file on Android mobile or tablet using best Android torrent client”. So without wasting much time I will explain you a simple and smart way to do this android mobile. So lets start with this tutorial on android mobile trick. After performing these steps of this mobile trick you are able to download a torrent file on your Android device. There are two type of Android torrent apps are available, one is free application and other is paid one. It’s quite obvious that we all are interested in free Android torrent downloader rather than the paid one, right? so I will be covering Free through which this can be done. 1). First and for most you need to have "tTorrent Lite" app installed in your phone. 2). 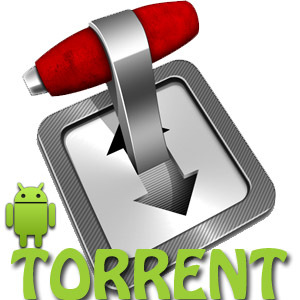 Once you have downloaded tTorrent Lite and installed it in your android mobile or tablet you need to download required torrent file, its obvious that without torrent file what will you download so do that first and save to your SD card or Phone memory. 3). Now open the app and browse the torrent file which you have download it. 4). Once the file is added click on the Download button and download will be start. 5). If you’re using Wi-Fi than you can also turn it on/off as per your requirements. 6). And you can also increase or decrease the download and upload speed. That’s it now you will be easily able to download this app on your android device.